This 10 storey, 84 bedroom boutique hotel operated by Dakota was constructed on the former ‘stacker’ car park in Leeds City Centre. The Dakota Deluxe Hotel includes a basement restaurant and ground floor bar, coupled with contemporary rooms that Dakota say is ‘the new modern classic’. PMJ Masonry installed specialist feature wall cladding, incorporating cills and rebated panels, including circular granite columns and external planters. 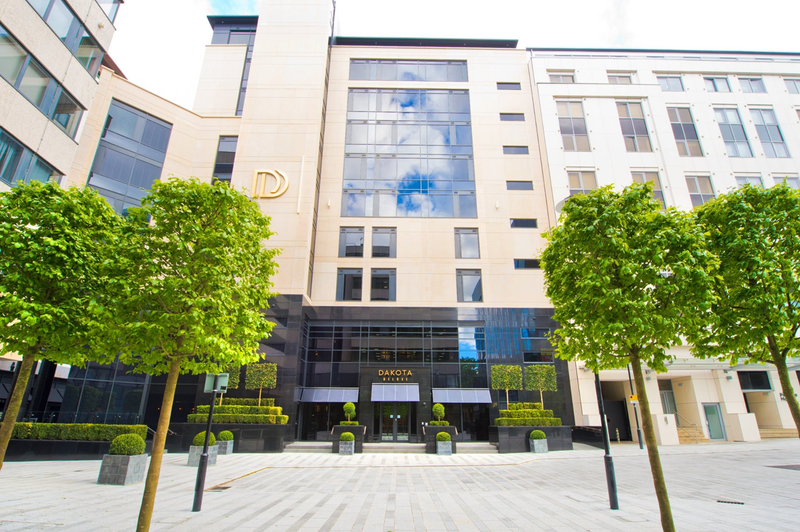 PMJ Masonry are proud to be associated with the Dakota Hotel, Glasgow where we supplied and installed Chinese Black Granite to ground floor elevations. Working as one of GMI Construction’s specialist sub-contractors, both Dakota Hotels have been highly successful creating two stylish, ultra-modern designs that have set new standards for hotel construction in the region.